FAIRHAVEN, Mass. 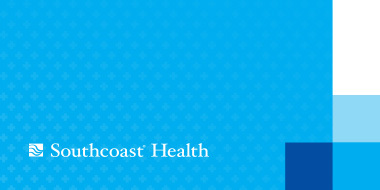 – Southcoast Health today announced that internal medicine physician Brian Cilley has joined Southcoast Physicians Group, and will see patients at Southcoast Center for Primary and Specialty Care, 208 Mill Road, Fairhaven. Dr. Cilley earned his doctorate of osteopathy at the Nova Southeastern University College of Osteopathic Medicine. He completed an internal medicine residency at the University of Medicine and Dentistry of New Jersey – New Jersey Medical School and an infectious disease fellowship at Roger Williams Medical Center in Providence. Prior to joining Southcoast, Dr. Cilley was employed with Stanley Street Treatment and Resources (SSTAR) in Fall River, where he provided primary care to the general community as well as focused care to patients with infectious disease needs, including HIV, chronic hepatitis, latent tuberculosis, and infectious complications of intravenous drug abuse. Board certified in internal medicine and infectious disease, he specializes in osteopathic manipulative medicine. Dr. Cilley is fluent in both English and Spanish. To schedule an appointment with Dr. Cilley, call 508-996-1800.